For Jubilee Gamaniel, being an Uber driver-partner is what allows her to pursue her entreperneurial dreams. The bright floral patterns of Jubilee Clothe dresses mirror the effusive personality of their designer and namesake, Jubilee Gamaniel, a creative force from Nigeria living in Los Angeles. The filmmaker, model and designer has her finger in many different pursuits related to bringing more beauty to the world and with her burgeoning fashion business, she hopes to spread her vision from her home to the rest of the globe. Gamaniel is also an Uber driver-partner. The flexibility of driving with Uber and this added earnings stream gives her the space to pursue the kind of creative life that she wants. "I started driving with Uber," she says "because I wanted to have a way of supporting my business." It's the flexible hours and earnings that are so attractive to a young entrepreneur like Gamaniel. Her mornings begin with quiet reveries over tea, before she begins work on her businesses, sending emails and such before heading out to drive. "I go drive for like a few hours in the morning and I really love it," she says. Her early rides might involve bringing kids to the local high school or their parents. "How else do you want to start your day?" she says. "A beautiful kid smiling in your face. I didn't feel like it was a job, I just felt like I was doing something to support the bigger picture." 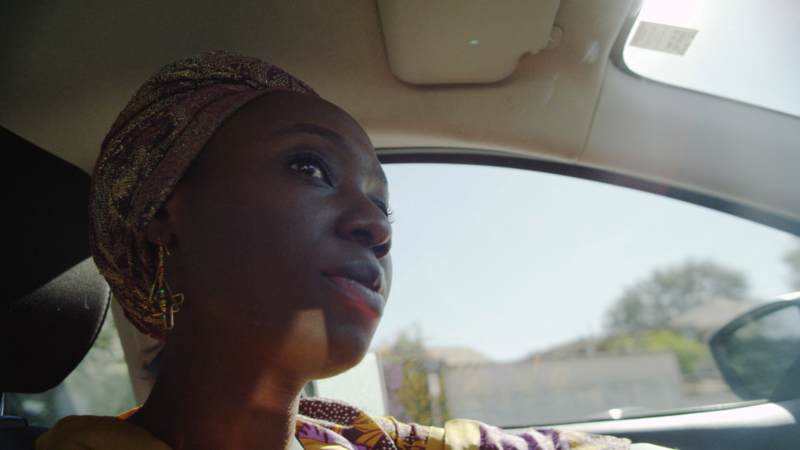 And when Gamaniel returns to Nigeria for business or visits, she takes advantage of Uber's ubiquity on the African continent by becoming a rider. When traveling to Nigeria to visit family and pursue her business endeavors, Jubilee uses Uber as a rider. "As an Uber rider doing business in Nigeria, it's a huge convenience moving around, meeting with tailors, manufactures and clients. It helps during tax season when I have to report expenses as well because everything is in one place. " Fashion and making clothes was Gamaniel's first passion, before she fell in love with filmmaking. "I wanted to make movies" she says, "because I felt like I was the storyteller that had so many stories to share with the world." But as she pursued one passion, she was noticed for another. "I'll go out and people will be like, Oh my God, I love what you're wearing. I'll be like I made it. I didn't buy it. I made it!" she laughs. This is what inspires her fashion creations. "It's so interesting how color really makes people feel a certain way," she says. It's this sense of making people feel good through her inventiveness and self expression that also gives her strength. "It made me want to keep pushing," she says. It's the creative life that stokes her passion, and Uber helps empower that passion. "I want to give back in an even bigger capacity and especially to my community and to Nigeria as well because I've seen how so many people have suffered."